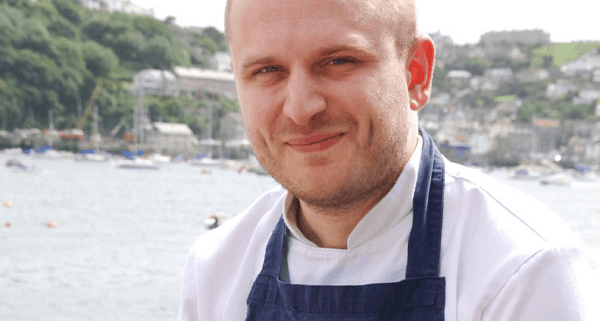 As we move towards the festive break there’s a big focus on food, especially here at the Old Quay House where our head chef Ben Bass will be busy in the kitchen. Here’s a Q Restaurant favourite and a recipe that Ben swears by. It involves a bit of preparation, but pig’s cheeks are an often overlooked part of meat and are very tender when cooked for a long time. They can be purchased from most local butchers and are very good value for money. Plus this dish is delicious and a definite wintery crowd pleaser. Happy cooking! This will make enough for four starters or you could scale it up to make four mains. Marinate the pig’s cheeks in the red wine overnight. Drain well, pat dry and lightly season. Reduce the red wine by half, skimming all the time. Add the dark stock and bring to the boil, still skimming as you go. Brown the pig’s cheeks in oil and butter. Drain and add to the stock. Cover and braise for about 3 hours, checking after 2. When done, remove the cheeks from the liquor. Reduce the liquid to a sauce consistency, skim well and return the cheeks to the sauce before setting set aside. Sweat the shallots and garlic in butter taking care not to brown them. Add the drained barley, cook out for a few minutes and then turn up the heat. Add the sherry and stir. Once nearly gone, add the hot stock a ladleful at a time. Keeping adding to the barley similar to making a risotto. Keep doing this until the barley is tender. Finish with seasoning, butter, parmesan and a little cream. You want a soft flowing consistency. Put the barley in hot bowls. Top with pigs cheeks and dust with some chopped hazelnuts. Add a little sauce and serve.